When it comes to setting goals, do you make big plans with little follow through? Do you have several To-Do lists but no action plan? When planning for success in any area of life, setting goals aids us in evaluating progress. What if you don’t know how to start? Maybe you have a racing mind full of ideas. Maybe you know you need to do something, but you don’t know what to do. Goal Setting versus Goal Selection – We all like to think that if only we had more time, we could get more done. The difficult truth is that we may be lacking in focus, trying to accomplish everything on a list, rather than purposefully working toward our objective. Decide which tasks are most important, combining tasks when possible (or stack new habits with existing ones. Build new practices into your current routine. For me, putting my vitamins next to my Keurig helps me remember to take them), and eliminating anything unnecessary could inhibit your productivity. Write things down, only when you have decided what is a priority. Cramming too much on your list will actually decrease your rate of progress, leaving you feeling defeated before you even get started. Create smaller action steps. How will you know you are making progress if you don’t have a way to track it? Every BIG task can be broken down into smaller ones. Take the first step, start the new habit, and then keep going. Celebrated every victory along the journey. Find someone to challenge you and spur you on – and do the same for them. Be consistent and intentional. Accomplishing 50 tasks doesn’t matter if these tasks have no purpose or direction. Showing up is more important in long term progress than checking items off a list. but only as it pertains to BIG GOALS. I am a big fan of lists. I have several going at any point in a day. Lists for the kids’ chores and school work, lists for my chores, lists of people to talk to, and grocery lists. For those BIG things though, like Weight Loss Goals or Business Goals, the list can get in the way. Instead of focusing on the huge part of the goal, daily action steps keep me motivated toward long term progress. My success is the TOTAL of all my actions. My actions must be more than checking off items on a list. 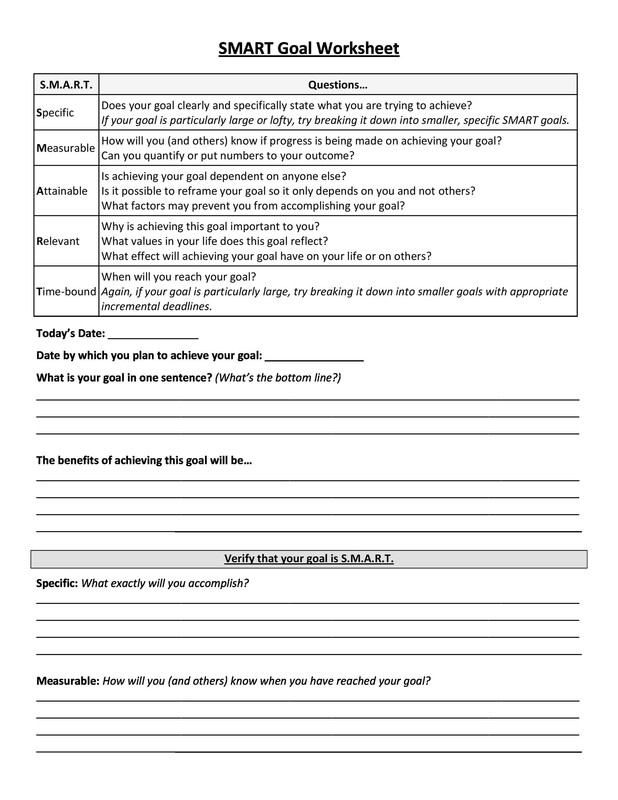 If you would like a FREE SMART goals sheet, download it here! Drop me a comment if you found this post/tool helpful!